The Super 8 of Fort Morgan welcome you to Northeastern Colorado. We are conveniently located at exit 80 off of I-76 east or west. We are just minutes from Fort Morgan Museum, Riverside Community Park, I-76 Speedway, and several restaurants. After you have spent your day traveling and exploring our beautiful state, park your vehicle in our large parking lot. 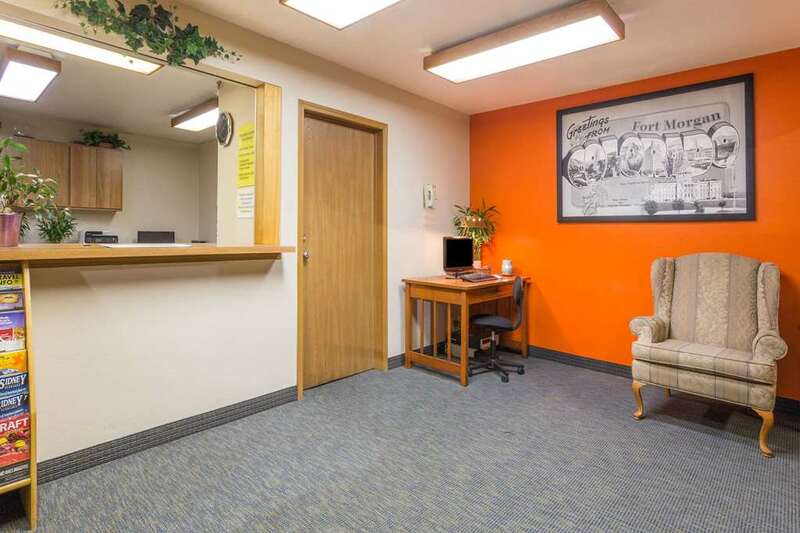 Then let our professional and friendly staff assist you in finding the clean and comfortable room that will fit you and /or your family's needs. Enjoy in-room coffee, free local calls, High Speed Wireless Internet Access, and expanded cable TV w/remote control featuring HBO, ESPN, Fox News and Disney. Join us in the morning for our Complimentary SuperStart breakfast. See you along the way.